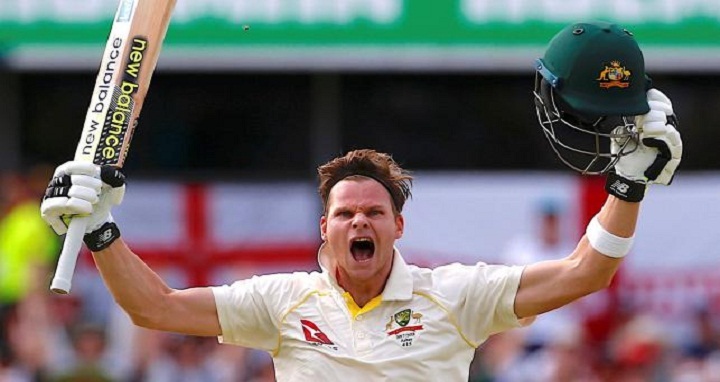 Dhaka, 22 Dec, Abnews: Australia captain Steve Smith says his fast bowlers will continue to bombard England’s tailenders with short-pitched deliveries despite claims their beleaguered batsmen deserve more protection from the umpires. Smith’s uncompromising stance comes after former England captain Mike Atherton called on umpires to better enforce the game’s laws around bouncers which are designed to shield batsmen down the order. Australia trounced the tourists by an innings and 41 runs in Perth on Monday to reclaim the Ashes and hold an unassailable 3-0 lead with two Tests to play in Melbourne and Sydney. In the three Tests so far, Australia’s pace battery has targeted England’s tailenders with short-pitched deliveries. Last man in James Anderson was struck a fearsome blow on the helmet grille by a brutal bouncer from Pat Cummins in Perth which drew criticism from Atherton, writing in The Times. Atherton said he was dismayed by the continued attacks on the England tail, which included six bouncers to Anderson in the last rites of that Test. But Smith said there would be no let-up in the fourth Test starting in Melbourne on Boxing Day, adding that it was a strategy England would employ themselves if they could. “We obviously had a plan from the start of the series that we were going to bowl a lot of short stuff to those guys, much like we did back in 2013,” he told reporters late Thursday. Former pace spearhead Mitchell Johnson, who put England to the sword in that 2013 home series, said rather than worry about the laws the tourists should just “learn to bat”. “Isn’t it two short balls in an over? That’s the rules. If it’s not over their heads or the shoulder restriction, how is it dangerous?,” Johnson told Fox Sports. Another former Australia Test quick Trent Copeland tweeted: “What’s missing from this (Atherton) article?